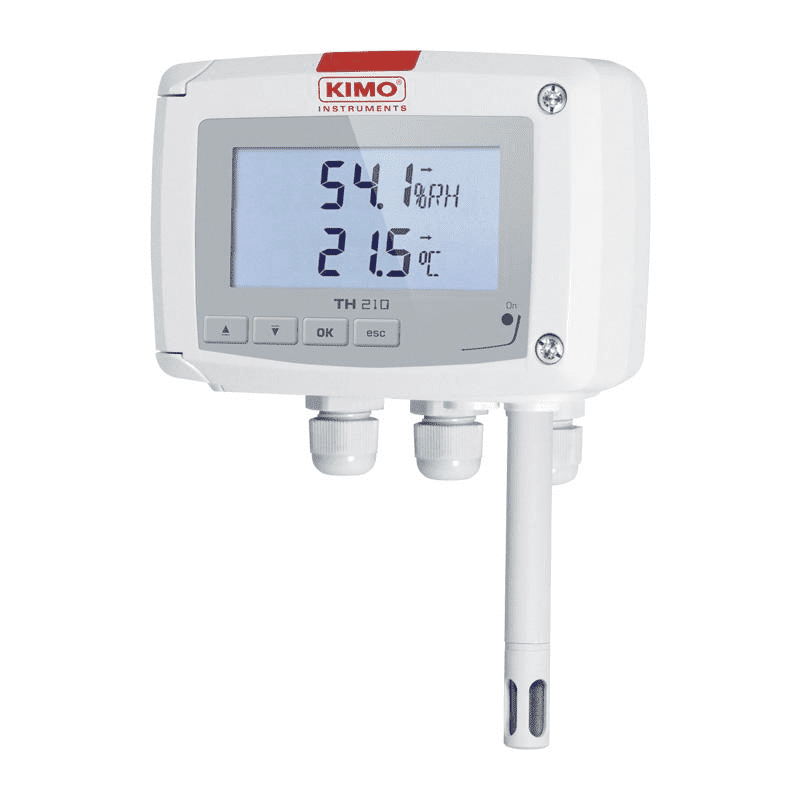 The Kimo TH210 series is a relative humidity transmitter with or without display. 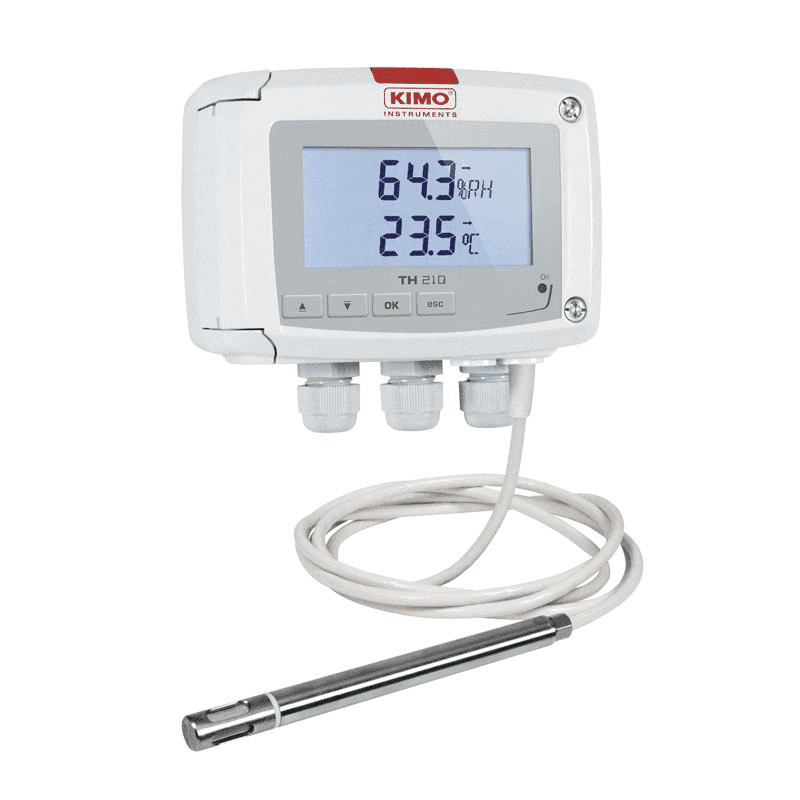 The TH210 is ideal to use as temperature and humidity measurement in air ducts and rooms for connection to a building management system. The transmitter calculates the absolute humidity, dew point, wet and dry bulb temperature. For temperatures up to 180°C stainless steel sensors are available. There are also several filter tips available.